A canvas collage is a great way to show off a small collection of photos. Whether it's a family tree or a set of landscapes from a holiday, A canvas collage is an elegant way of displaying them that suits a wide variety of decor styles. There are many templates and ideas to choose from, and you can always come up with your own great designs. 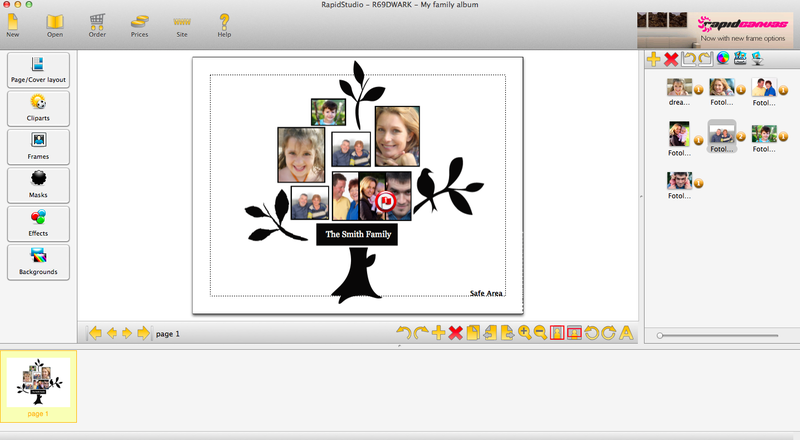 For this tutorial, I'm going to use one design, a family tree, as an example. So let's get started. First we need to download the canvas templates from the website in order to add them to our software. Visit the RapidStudio website, and find the canvas templates under Products > Canvas Prints > Specs > Download Templates. Once the template's file is downloaded, install it into your RapidStudio software. On a PC, close RapidStudio, and run (double click) the downloaded template file. On Mac, open RapidStudio, Click Configuration > Manually update files... and selects the template file you downloaded and click Open. Your software will restart itself. For more information on installing themes and templates on your mac or pc, please check out the knowledge base in the support section of the RapidStudio website. Once we've added this to our software, we want to start creating a new "album" (in this case our album is a canvas). 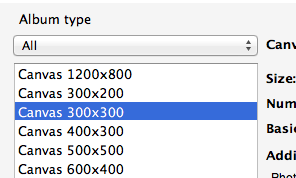 After clicking new, give your canvas project a name (Step 1) select the size of the canvas you want to make (Step 2). When you've selected the canvas size you want, proceed through the next few steps to begin creating your collage. Selecting the images you want to use (Step 3) and selecting a "Page Design" or "Sample Album Design" (Step 4). When you have your canvas open in front of you, you can start to add your images to the appropriate place-holders, crop and position them as desired, add any text you want, and apply the finishing touches. When you're done with your design and you're ready to order and send it in for printing, simply click the order button, and follow prompts through the order, payment and upload process. You can pay by credit card or electronic bank transfer, and once it's printed and stretched, we'll deliver it to your door. It's simple and it's quick.